Hold on to your knickers! 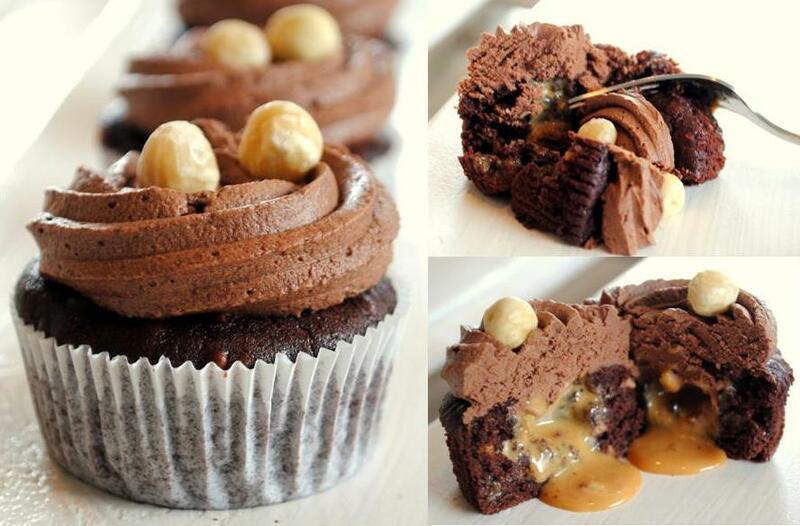 This cupcake is very nutty. Nuts in the cake, nuts in the middle and double nuts on top. 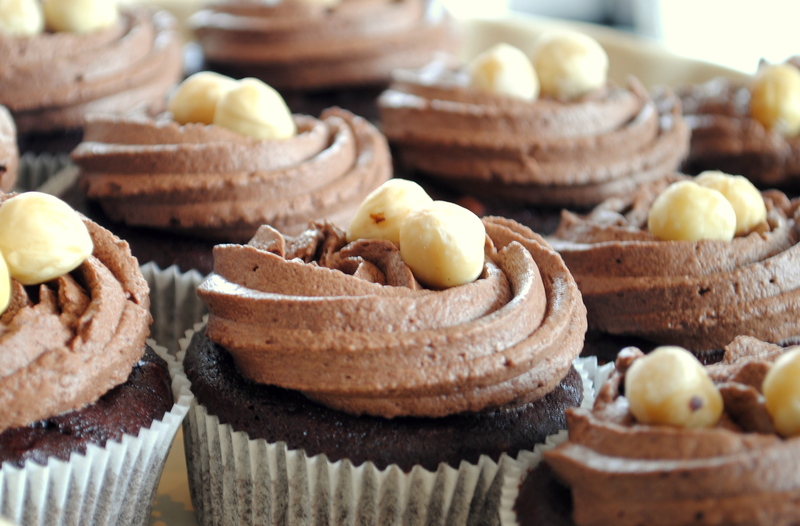 A mix of dark chocolate, a caramel nut centre and a whipped dark chocolate ganache icing. This cupcake shouts rich – rich flavours and a chocolate overload presented in the perfect shape of a cupcake. The whipped ganache icing is a light and fluffy chocolate dream and leads to a soft and gooey caramel centre. Luscious is the best word to describe these – a succulent, pleasingly rich, sweet taste. I’d suggest pairing this cupcake with a glass of red wine for the perfect after dinner treat. This is my favorite so far. And allthough I am a wine lover it tastes perfect with coffee as well.